It’s not all FIESTA and SIESTA! 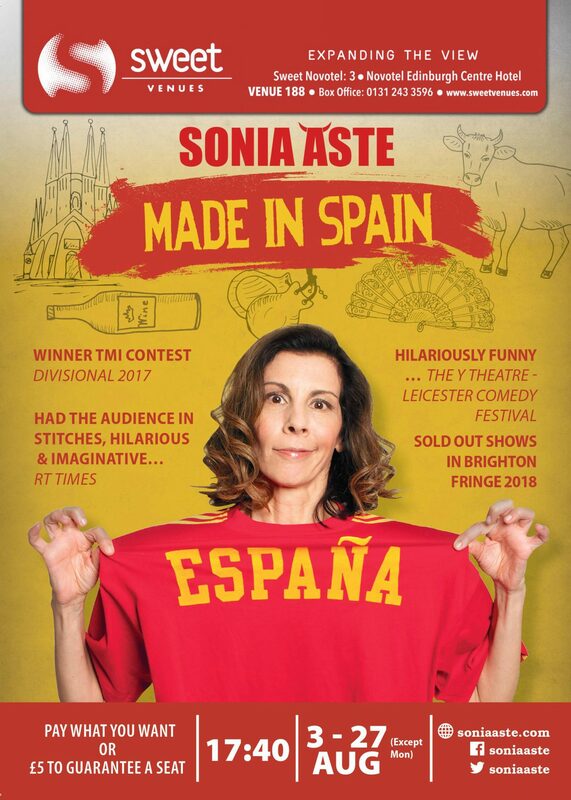 A little bit of Spain arrives at the Fringe. Have you ever been to Spain? Did you think things were … ‘interesting? 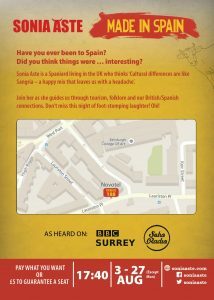 With Spain being one of the top destination for British tourists, this hour shines a light into cultural differences and what it means to be ‘Made in Spain’. Based on a ‘Tapas Menu’, this fast paced comedy show lets the audience choose what they want to order. 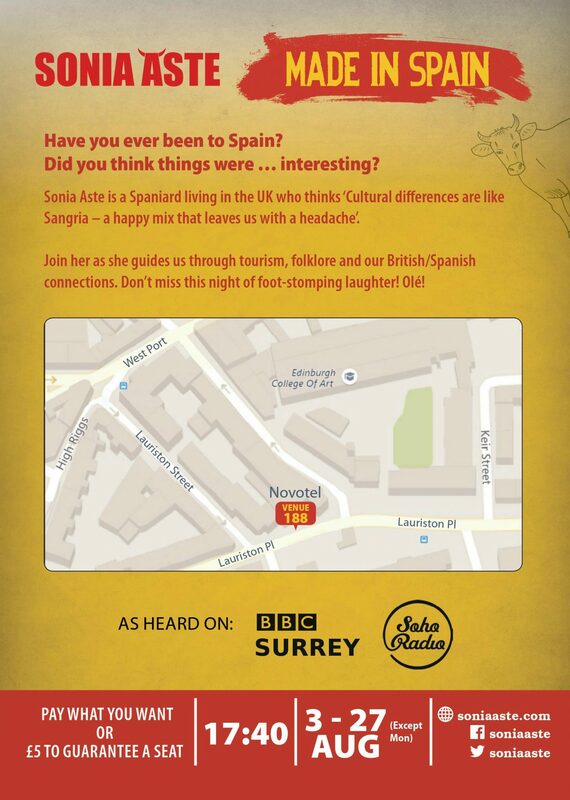 From ‘Brexit Baps’ to ‘Spanish Song Salads’ it caters to all comedy tastes and like a good Spanish meal, provides a space to share in the fun and laughter. If you’ve ever been to Spain (or have yet to go) – don’t miss this hour of foot stomping comedy! Olé! Sonia Aste is an Engineer, has an MBA and speaks five languages. These impressive titles have not helped her comedy career as much as being able to do a double back summersault. She worked in the corporate world until 2015 when she decided to go into comedy. Yes she misses the paychecks. But not enough. Made in Spain will be at Sweet Venues (Sweet Novotel 3 Venue 188) Novotel from 3-27th August (except Mondays) at 17:40 (50 minutes). Pay what you want or £5 to guarantee a seat.